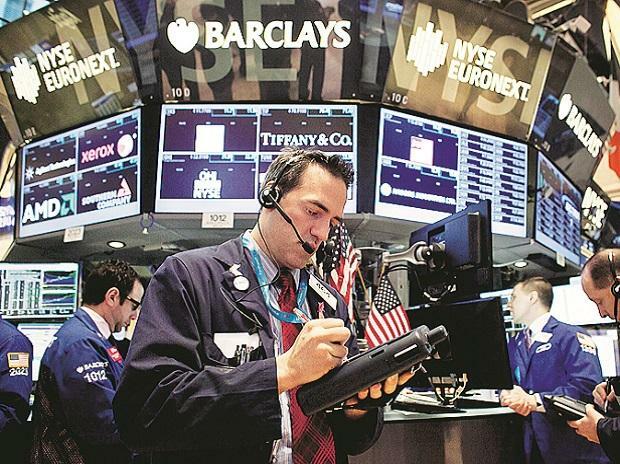 Wall Street was mixed on Tuesday, with technology shares dipping ahead of Apple's quarterly report while a rebound in 3M and other industrials elevated the Dow Jones Industrial Average. Apple slipped 0.7 percent as investors awaited the iPhone maker's results after it warned earlier this month about soft demand in China, whose economy has been damaged by a tariff war with the United States. Interest rates were also in focus as the Federal Reserve began its two-day monetary policy meeting. After raising rates gradually last year, the central bank is taking a wait-and-see approach to further tightening in the face of an overseas slowdown and market volatility. The Fed is widely expected to leave rates unchanged on Wednesday. Investors will also look to Friday's January unemployment report for clues about the pace of future inflation. "It's a day of indecision. Between earnings due out after hours today and the Fed tomorrow, and then the unemployment report coming up, I don't think anyone wants to make a big bet ahead of all that news," said Willie Delwiche, an investment strategist at Baird. The S&P industrials index, which took a beating after a warning from Caterpillar's on Monday, rebounded 1.1 percent, helped by better-than-expected reports from 3M Co and defense companies. Amazon.com Inc, Facebook Inc and Microsoft, all part of a wave of upcoming quarterly reports later this week, fell more than 2 percent each. The S&P technology index lost 0.94 percent. Analysts on average expect S&P 500 companies' aggregate earnings per share to rise 14.2 percent in the fourth quarter. But with US corporate tax cuts now a year old, 2019 earnings are seen rising a more moderate 5.6 percent. As Washington and Beijing officials prepare for a high-level trade meeting this week, the Justice Department levelled charges against China's telecom giant Huawei, potentially casting a cloud on the talks. At 2:29 p.m. ET, the Dow was up 0.21 percent at 24,580.07 points, while the S&P 500 had lost 0.16 percent to 2,639.73. The Nasdaq Composite dropped 0.73 percent to 7,033.81. Defense contractors L3 Technologies Inc jumped 6.3 percent and Harris Corp climbed 6.7 percent after topping quarterly earnings estimates. 3M rose 1.6 percent after its fourth-quarter results topped estimates, even as the Post-It notes maker trimmed its 2019 earnings outlook, saying that a slowdown at its Chinese business was hurting revenue. Harley-Davidson Inc dropped 6.5 percent after the motorcycle maker reported a lower-than-expected quarterly profit, hit by declining sales in the United States. Allergan Plc fell 7.19 percent after the Botox maker forecast 2019 revenue below expectations. Advancing issues outnumbered declining ones on the NYSE by a 1.67-to-1 ratio; on Nasdaq, a 1.06-to-1 ratio favoured decliners. The S&P 500 posted 10 new 52-week highs and 1 new low; the Nasdaq Composite recorded 26 new highs and 24 new lows.